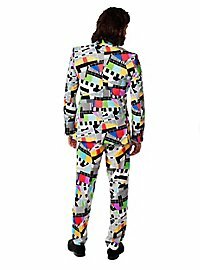 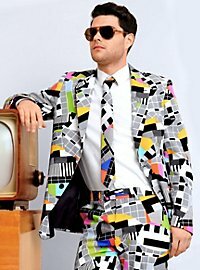 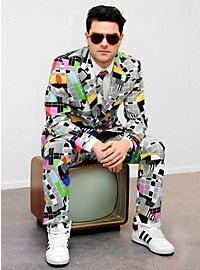 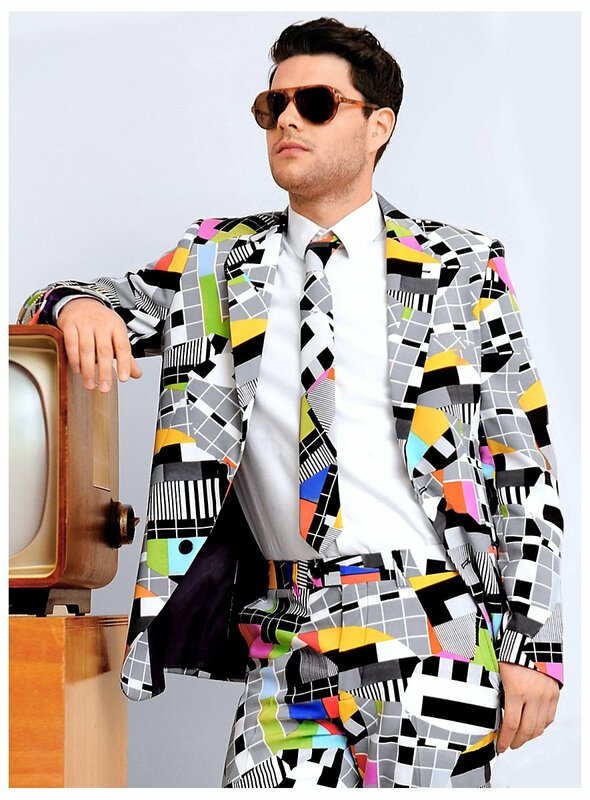 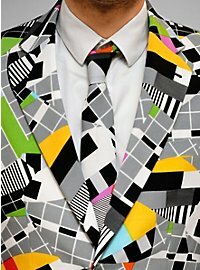 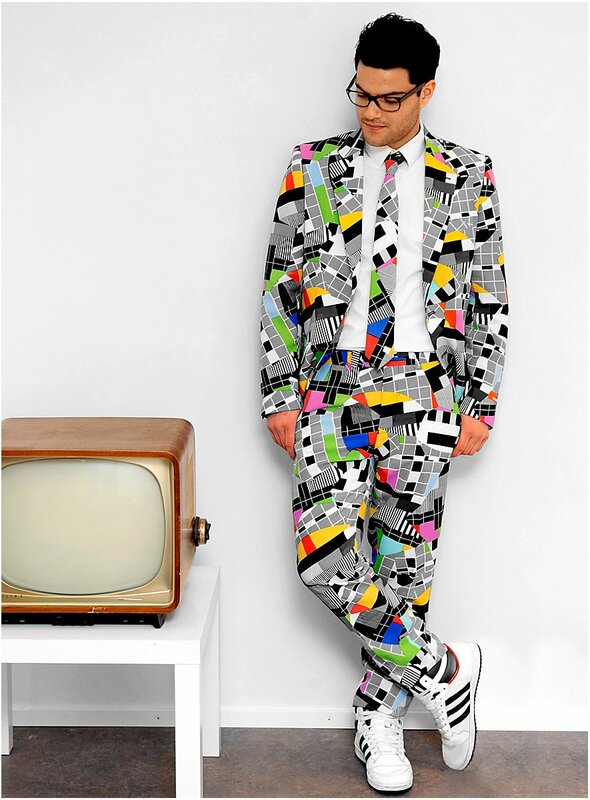 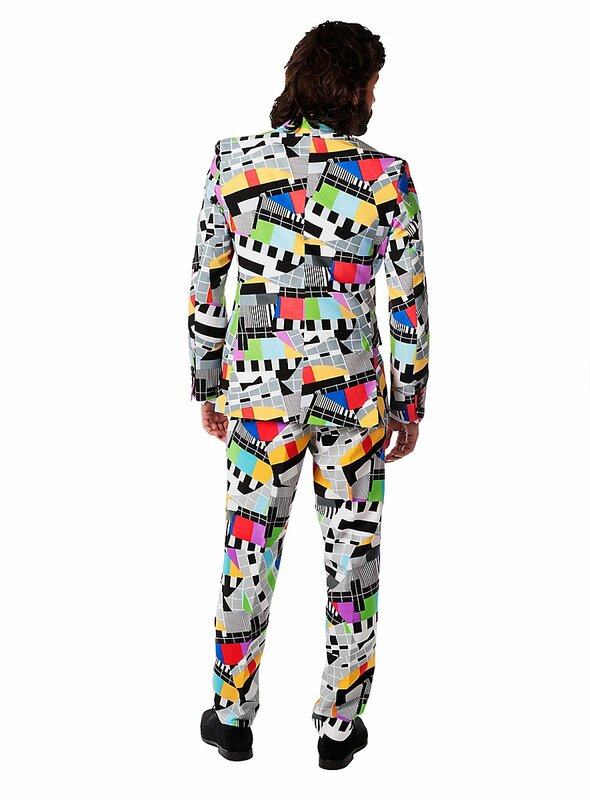 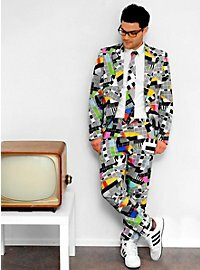 High quality, well-fitting, in-your-face style: Official OppoSuit with TV test pattern print. 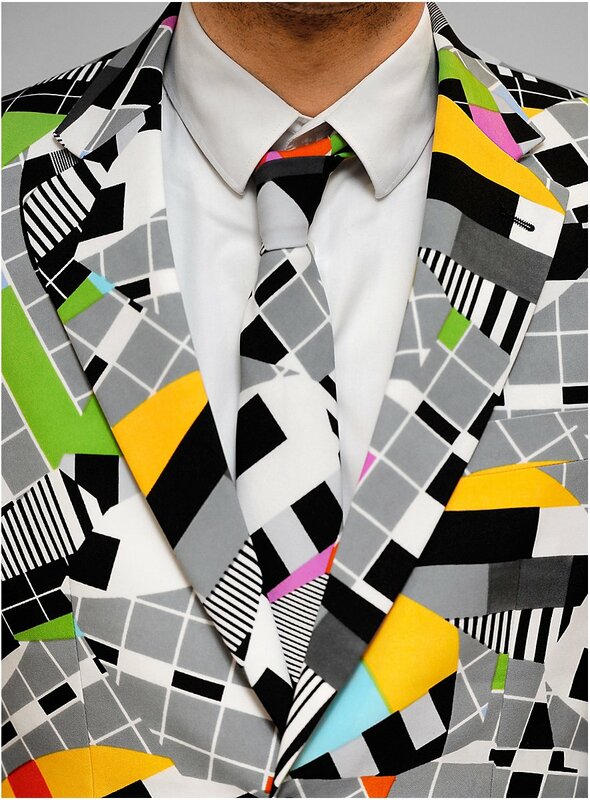 Make a statement at theme parties, festivals or your next bachelor party. I use this product in a costume party. 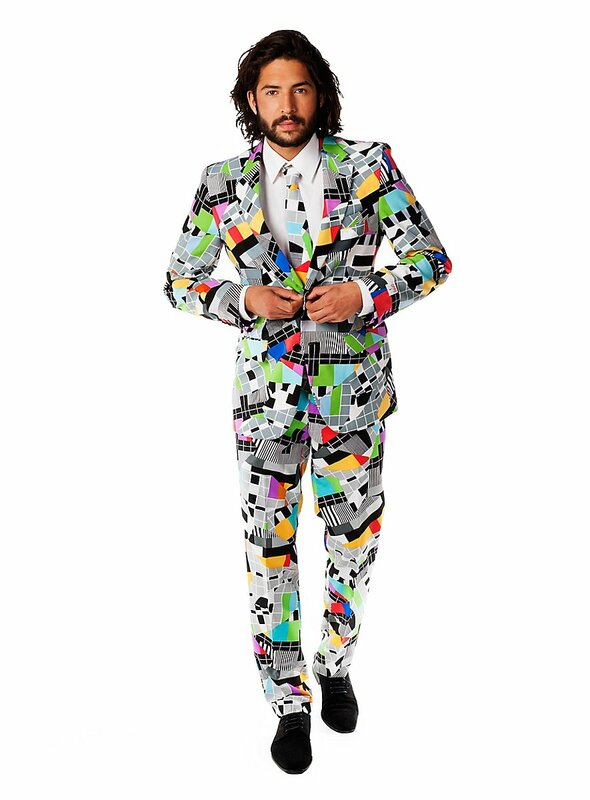 Good quality costume.